I am so proud to show you all our film that we made for the Norwegian project - #hjulbeintkampsport. Trondheim Karateklubb is the owner of the project and I am leading it together with some great people. The project is funded of ExtraStiftelsen, and we also have worked together with Kampsportforbundet. We are ending it in June 2018, but hope that our course - "Introduction of self defense for wheelchair users" will be arranged different places in Norway also after the project has ended. If you have question about the course, just contact me at wheeltofight@gmail.com. 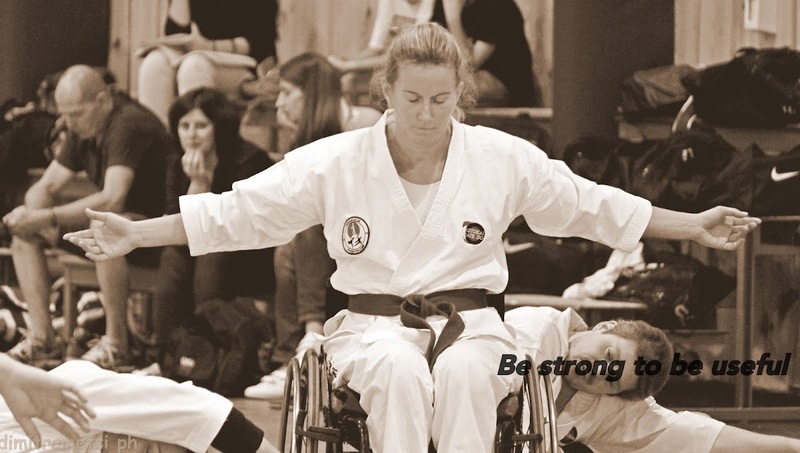 With this film I hope to get other wheelchair users motivated to do martial art! You are trying to do the same as always, live life as the accident never occurred. But basically, you know that your life will never be like before. But instead of giving up - you fight! Instead of letting the insecurity take over you fight against the prejudices! And yes, it cost more now, you have to sacrifice more. But you do not give up! You are strong! - Finally - you want to welcome the new everyday life.